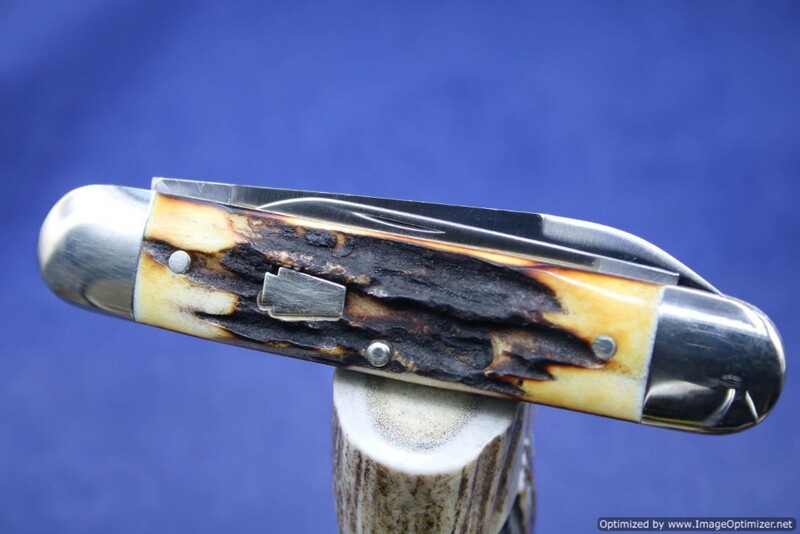 Gorgeous Stag on this Big Two Blade Cigar. 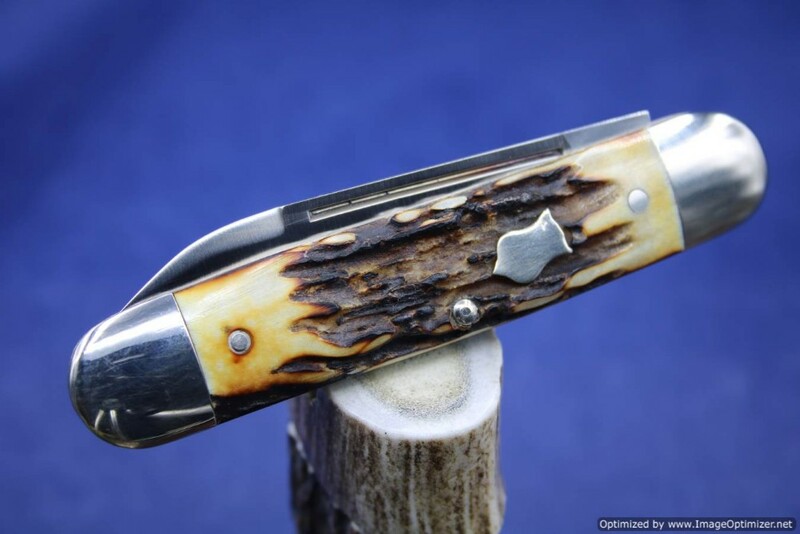 But look carefully, because it is unusual...Special Shields on both sides of the Stag Handles...Badge Shield on the Mark Side and Keystone Shield on the Pile Side. 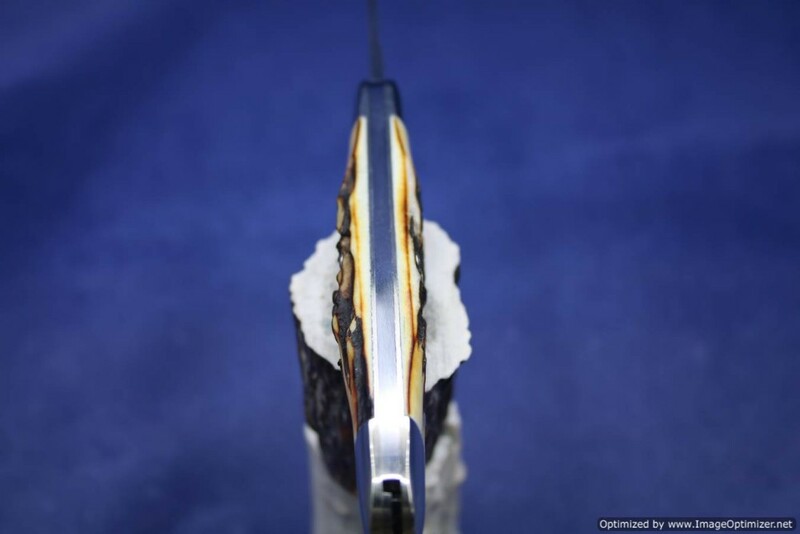 The Spotless Long Pull Spear and Pen Blades are D-2 Steel. 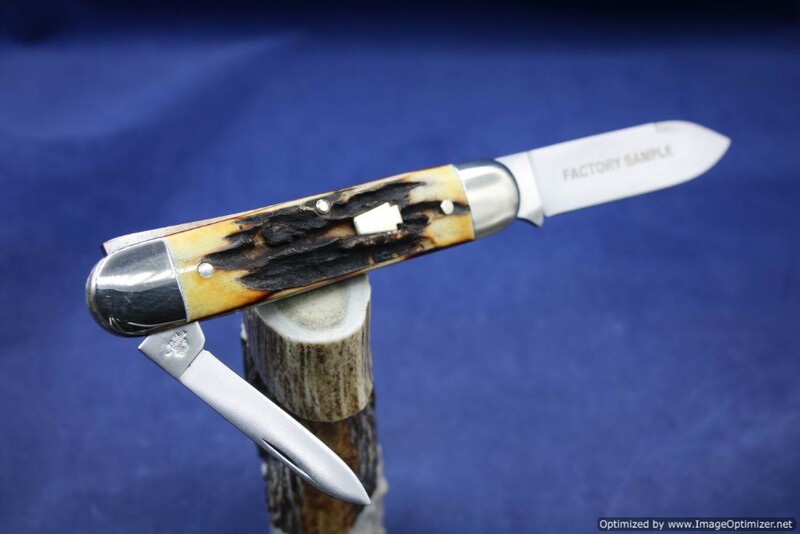 It's 4 1/4" Closed and it's a Factory Sample 1 of 10 issued and it comes with a COA. 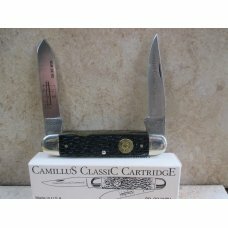 You will receive the knife in the photos along with the Red S & M "Exclusive Limited Production" Box. 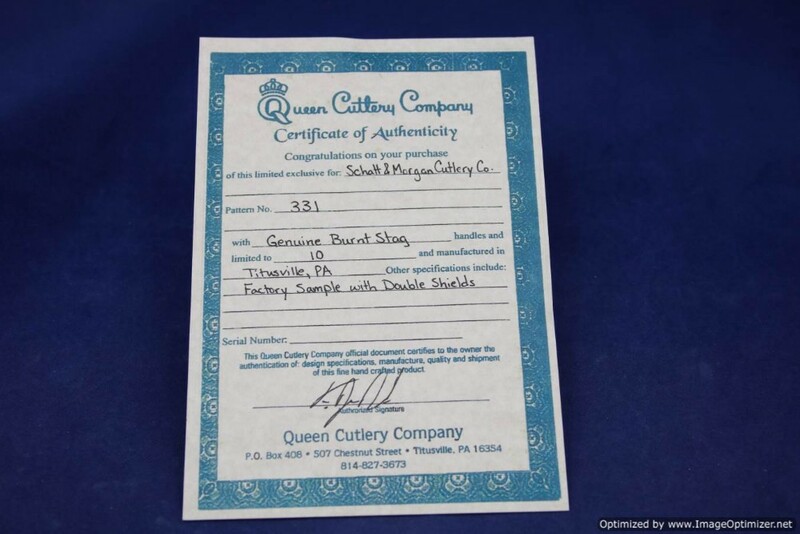 Like a FLASH, Lightning fast shipping to you. 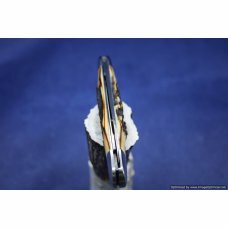 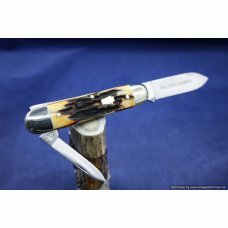 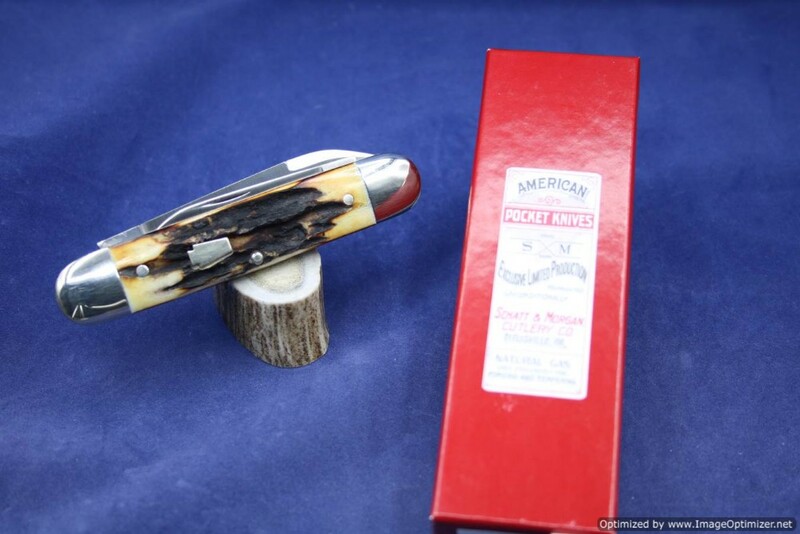 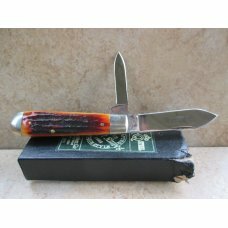 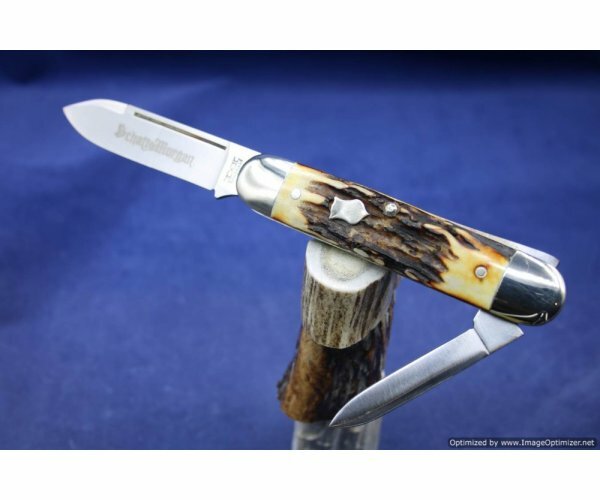 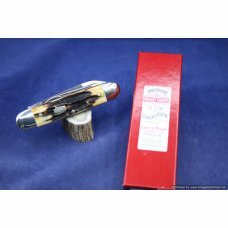 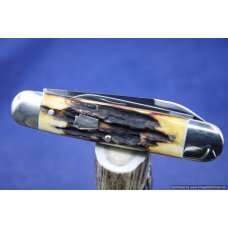 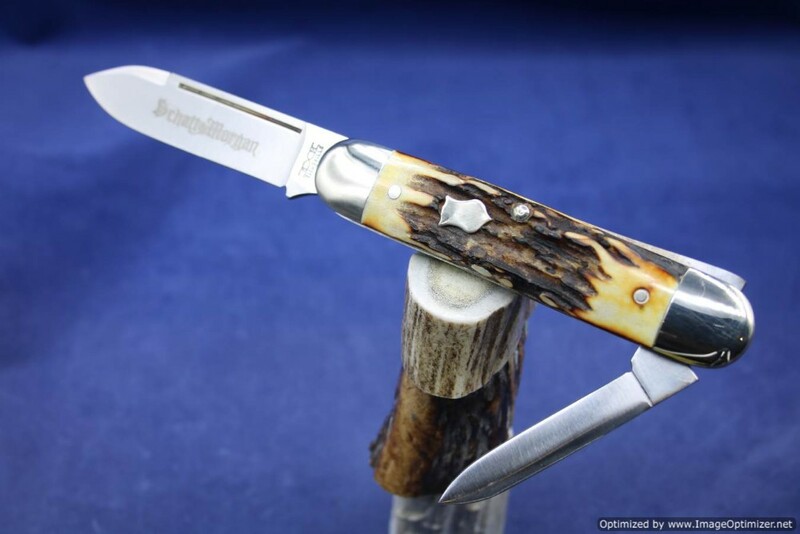 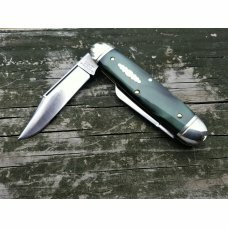 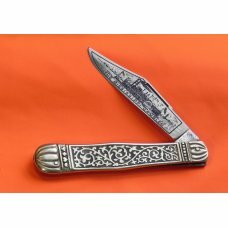 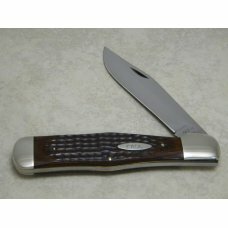 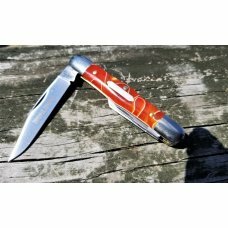 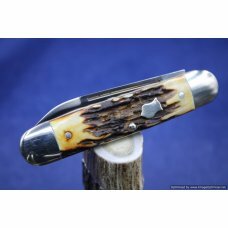 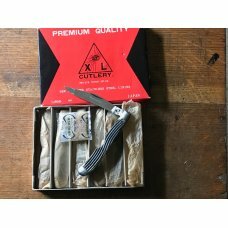 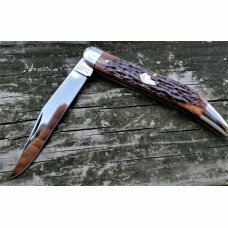 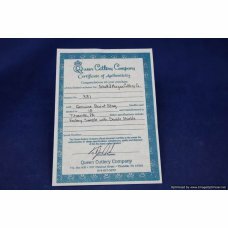 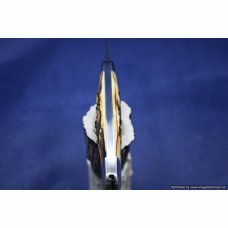 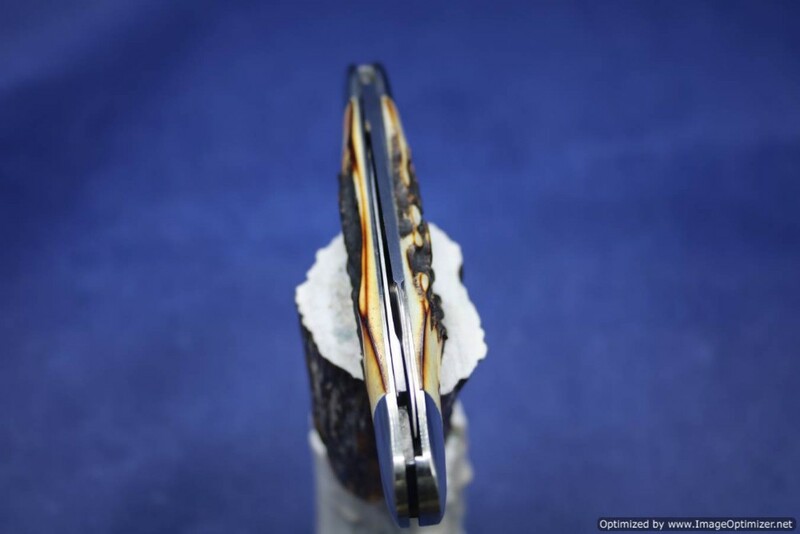 If this item is purchased with another item from Frank's Classic Knives that has a shipping cost of $7.20 or more, standard shipping to US addresses for this item will be discounted to $0.00.